Authorized Dealers of david clark headsets, and specialized for all type of Aviation Headsets. · New Performance ear seals are designed to hug the curve of the jaw, creating a more natural fit that increases comfort and stability. We are an Genuie dealer for Peltor 3M Headset. We can give you specialised application based solutions with 3M Peltor Headset. Connectivity wth Motorola or any other brand of walky talky solutions. Aviation/ Manufacturing unit/ Shooting/ Bluetooth based solutions. Ear Muff with Hands-free and Activecom based Headset with and without Helmet fitiings can be made available. Start your career above the clouds with the S1 Passive, a premium passive headset. It features superb passive attenuation that proves itself in daily use with single-engine and multi-engine propeller planes and helicopters. Professional Communication Headset for Call Centers, BPO, Customer Support offices with highly Noise Cancellation Microphone. 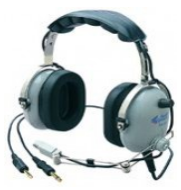 We offer a range of Aviation Headsets for use by aircrew, passengers and ground support personnel. Our headsets can be customized with respect to communication system, user controls, Noise reduction systems and aircraft adaptability. Our Aviation headsets can be configured for both fixed wing and rotary wing applications across various aircraft platforms. Hit the streets fearlessly when you’ve got your music and mobile gaming audio powered by the Razer Electra. Hear the high scores racking up on your smartphone or the thumping bass of a rocking song in absolute crisp clarity as the slick headset deliver every sound and note with great depth and balance.